Need an area to host a private event under 200 people? Look no further than these intimate spaces in the nation's capital. The Book Room is one of the most unique venues at The Jefferson, as it was modeled after Thomas Jefferson’s library in Monticello. The room offers beautiful natural light and can accommodate various types of business meetings. It is also perfect for hosting cocktail receptions, intimate dinners and even wedding ceremonies. 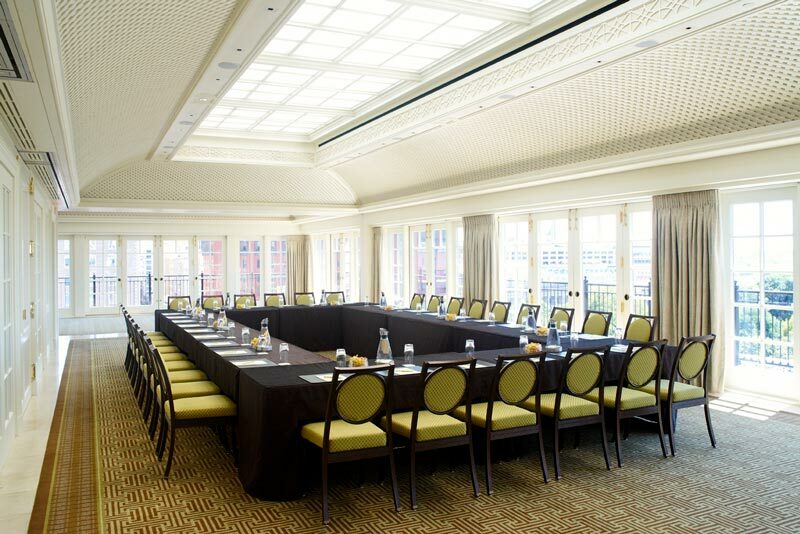 While the Gallatin Room is the largest venue in the hotel, it too can be transformed into a space for a smaller group. The room is versatile with an air wall that can split the venue into two areas, providing flexibility for varying setup styles, dinners and receptions. The Mandarin Oriental offers many options that are ideal for intimate gatherings. The Club Lounge is a private boardroom that can seat up to 12 guests comfortably. Located on the hotel’s eighth floor, guests can gather at the boardroom table or relax at a cafe table with beautiful views of Capitol Hill and the National Mall. 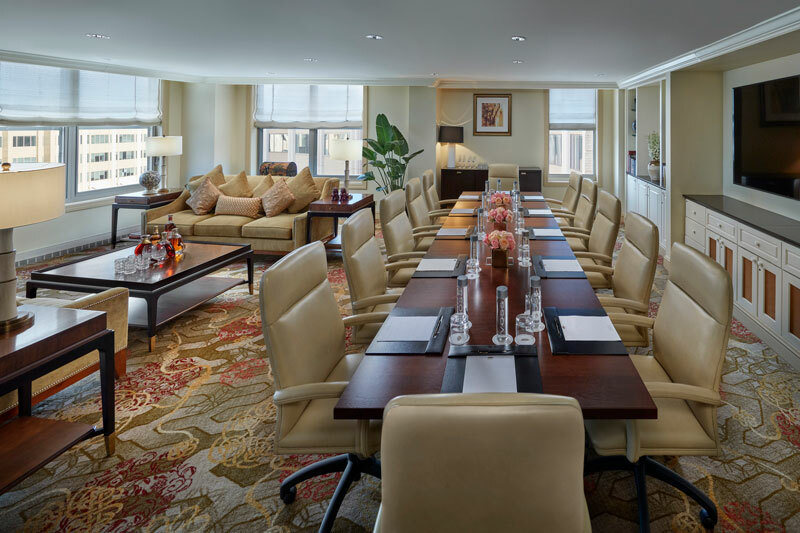 The Darcy, one of the most recent additions to Curio Collection by Hilton in DC, brings an array of options for private meetings and gatherings. The Wylie Boardroom seats 16 guests comfortably for discussions, presentations or private dinners. The Whitman Room is one of The Darcy’s more intimate meeting venues, seating 30 comfortably and suited to hosting breakout sessions, training sessions, workshops and presentations. With space for 60 guests seated or 80 standing, the Gaston Room can host a range of business and social get-togethers, including corporate meetings, workshops, private meals and cocktail receptions. Check out Siren by Robert Wiedmaier while you’re there for some of the freshest seafood and unique cocktails you can find in DC. 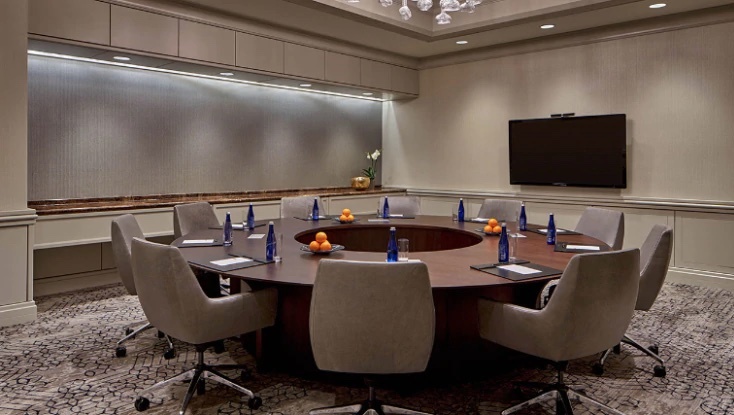 Many of the conference rooms at The Madison Washington DC, A Hilton Hotel feature natural light and are elegantly decorated with antique crystal chandeliers and classic finishings, making for an unforgettable experience. 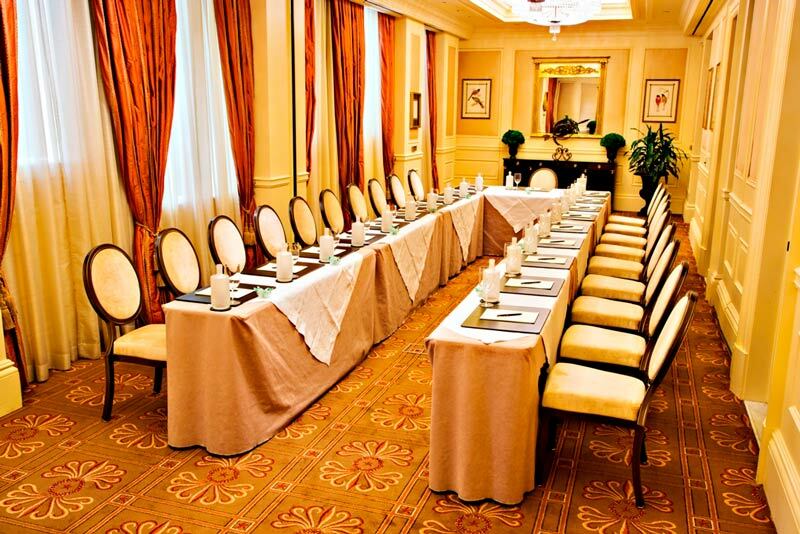 The hotel’s Executive Boardroom is perfect for close-knit meetings, seating 12 guests comfortably. 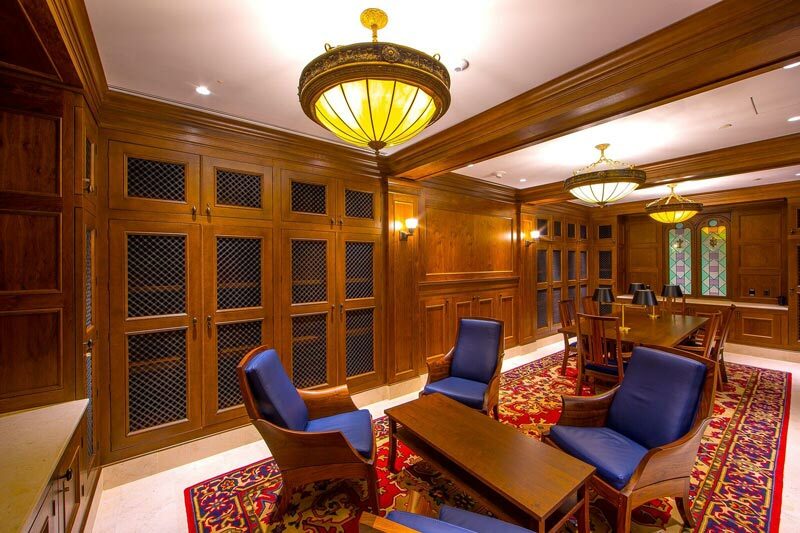 The Executive Library at the new Museum of the Bible is a beautiful space for intimate meetings, decorated with hardwood throughout and seating for up to 10 guests. Don’t forget to check out the museum’s phenomenal collections and exhibits dedicated to the Bible and its impact throughout history. The Hay-Adams has gorgeous views from almost every meeting space in the hotel. 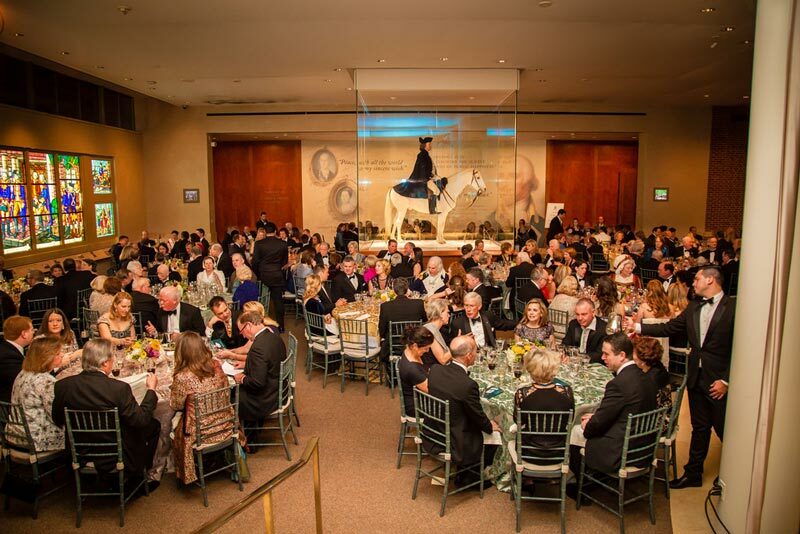 On the Top of the Hay, guests can enjoy an intimate meeting overlooking the White House and city skyline in a variety of rooms ideal for high-level meetings and events, each seating 16 people and up. The lobby offers even more meeting space with the Hay Adams Room, Concorde Room and Windsor Room. The Carina in the The LINE DC is a 2,500 sq. foot space that can hold up to 310 people. The room is filled with skylights, handmade terracotta tiles, polished black granite and leather details and can be split into two separate spaces - the Carina holding up to 260 people and Carina East holding up to 50 people. The LINE DC also has two twin meeting rooms, Argo and Pavo, located in its lobby. Both feature leather, marble, wood and cork textures and provide flexibility for more intimate groups with 275 sq. feet holding 12 people. 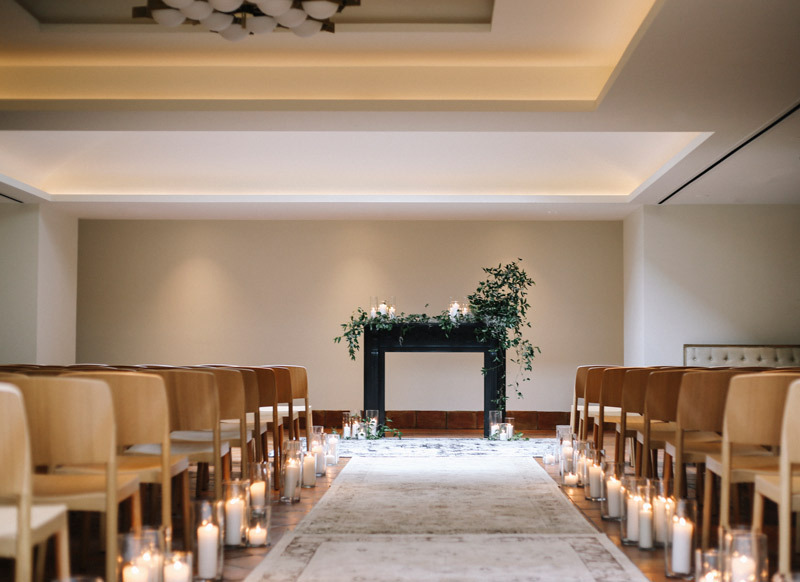 Guests can gather in the Park Hyatt’s exclusive private event space, The Gallery, which comprises the luxury hotel’s entire lower level of 10,000 sq. feet of flexible event and meeting space. The Drawing Room, which can be split into two sections, is among a few areas for intimate groups to meet. 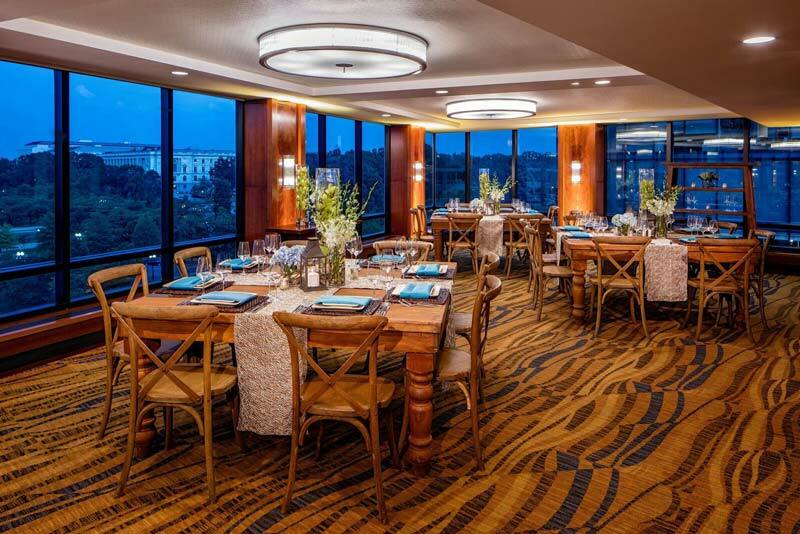 Named after one of the original architects who designed the U.S. Capitol, the Thornton Room at Hyatt Regency Washington on Capitol Hill offers floor-to-ceiling windows with striking views of the U.S. Capitol Building’s West Lawn. The venue consists of three salons and a lounge, with flexibility to accommodate an intimate event for 20 people or a reception for up to 250 guests. The Wharf, along the Southwest Waterfront, features many new venues, one of which is Union Stage, a great option for intimate gatherings. Guests can enjoy award-winning design, which creates a unique industrial yet contemporary atmosphere. 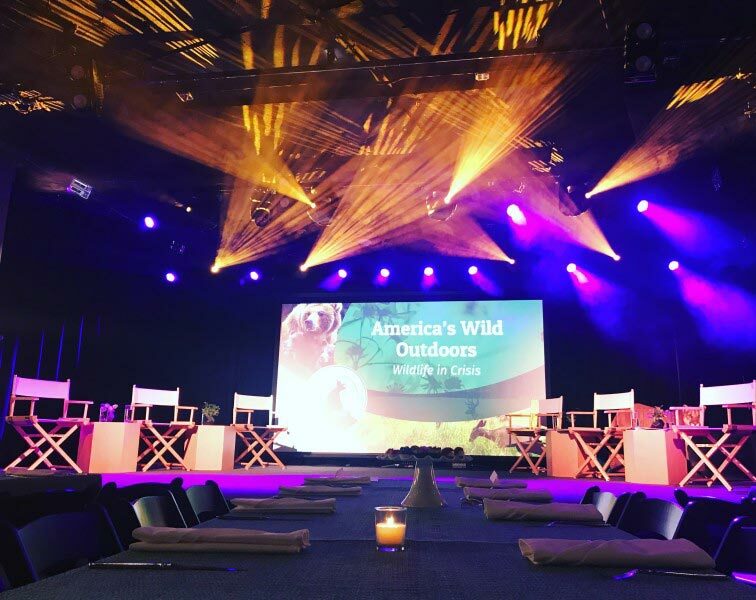 With world-class lighting and sound, a projector, stage and space for up to 200 people seated, Union Stage has ample flexibility. Guests can even stroll the waterfront streets during a meeting break and soak in the bustling atmosphere. 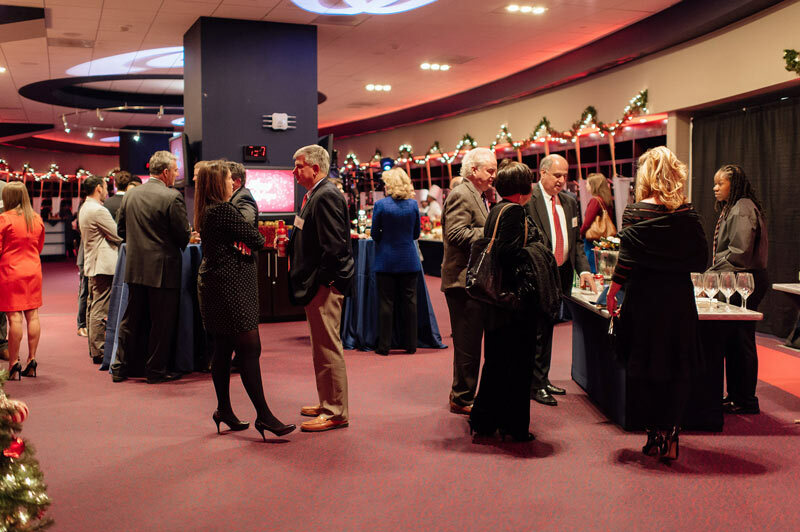 Why not take your meeting attendees to an exclusive space in Nationals Park? The Nationals Clubhouse can host a memorable reception, presentation or an intimate gathering, making guests feel like Major Leaguers by the time they leave. Depending on layout, the space can hold between 25-120 guests. The Robert H. & Clarice Smith Auditorium at George Washington’s Mount Vernon in Virginia seats 200 and is perfect for lectures, audio-visual presentations, seminars and small recitals. Standard audio-visual equipment is available on-site, and nearby reception spaces at the Mount Vernon Inn offer a relaxing environment for coffee breaks or cocktails. 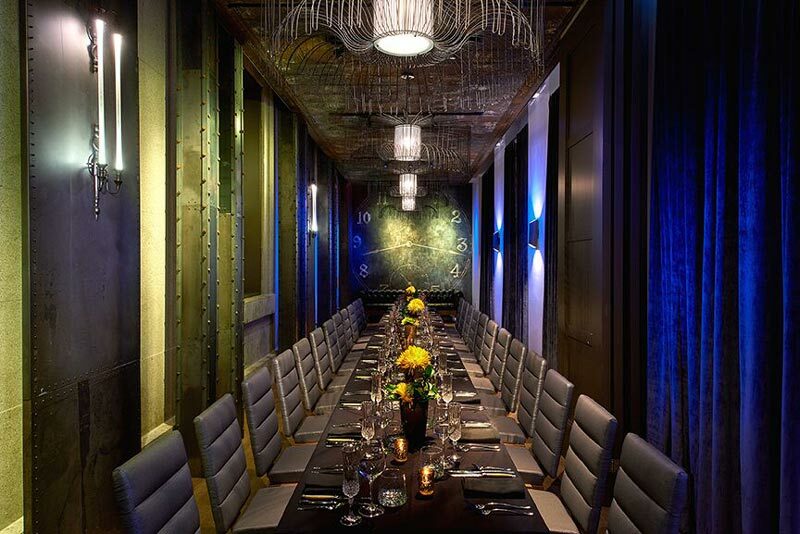 The Clock Room at Dirty Habit, located in the Kimpton Hotel Monaco Washington DC, is a sophisticated setting for intimate business dinners of 50 guests seated or 75 for a reception. The room is directly connected to the beautiful interior courtyard and is appointed with lush leather sofas, estate wooden or silver vegan leather chairs, plush velvet drapery and mural artwork. It can also be divided into two sections for even smaller groups. The Eston Room is also ideal for business meetings, featuring the same beautiful leather seating and space for up to 10 guests. 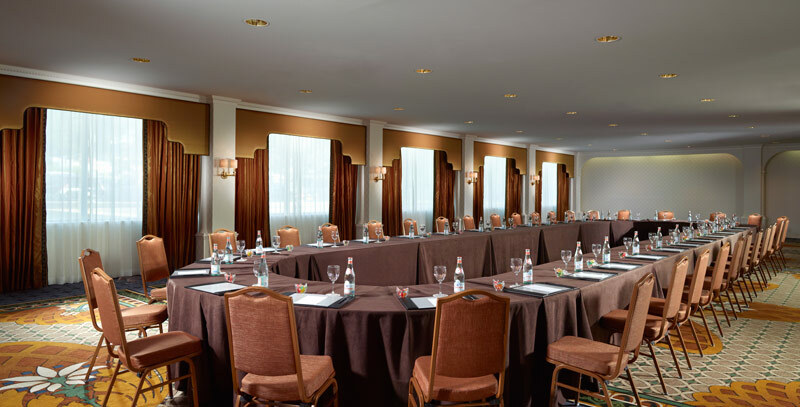 The gorgeous Omni Shoreham Hotel overlooking Rock Creek Park offers multiple intimate meeting spaces, perfect for tight-knit groups. The Hampton Ballroom can be styled for groups as small as 16 or as large as 500 for a reception, making it a versatile option for meetings. Among other spaces for intimate gatherings are the Executive Room, Forum Room and Calvert Room, all of which provide natural light. 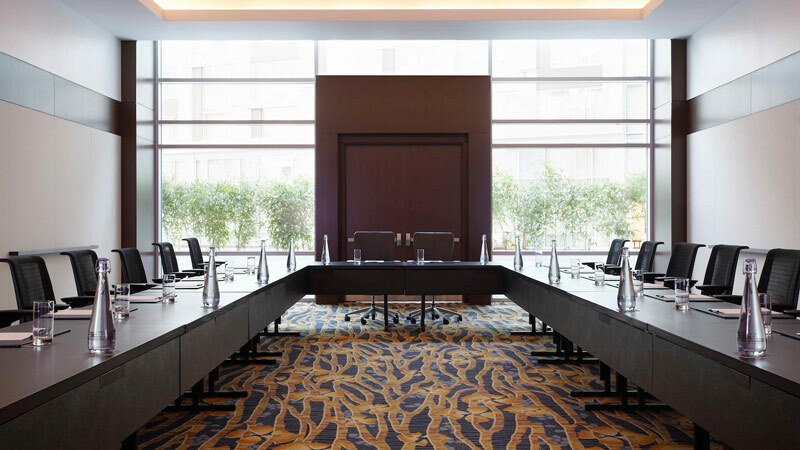 Located just a short walk from the Walter E. Washington Convention Center, the Grand Hyatt Washington is the perfect spot for intimate or large meetings with 39 unique meeting and event spaces comprising 42,000 sq. ft of space for events of 10 to 2,000 guests. The Washington Boardroom is suited for up to 20 people with a classic ambiance including leather accents and a beautiful wooden table, while the Renwick, Bullfinch, Latrobe, and Burnham rooms can be utilized for 20 guests per room or 90 guests when all four boardrooms are combined. The Marriott Marquis Washington, DC, located adjacent to the Walter E. Washington Convention Center, provides flexible meeting space for events of every size. Independent space over multiple levels is suitable for a private meeting of six attendees, a reception for 250 or anything in between. The Independence and Liberty ballrooms, salons and 54 meetings rooms provide endless choices with views of Penn Quarter and CityCenterDC. Boasting 17,000 sq. 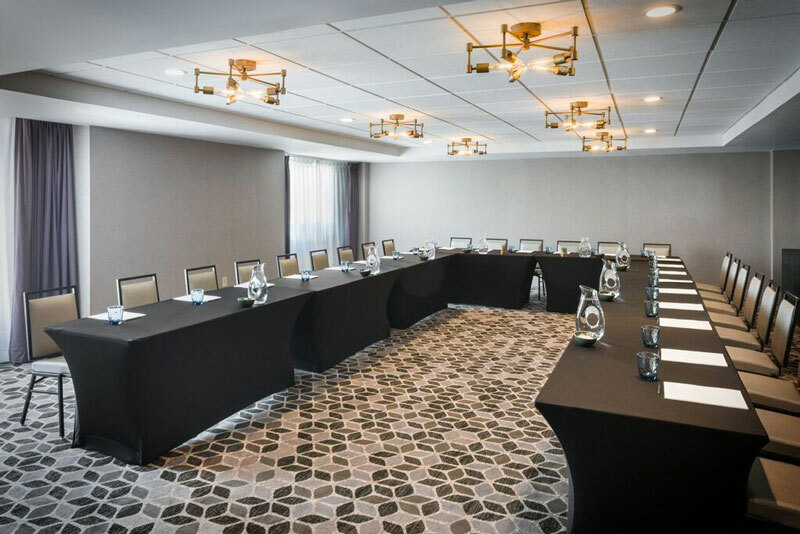 feet of flexible meeting space, Liaison Capitol Hill DC, A Joie de Vivre Hotel is a hub for business networking and a go-to venue for events in proximity to the U.S. Capitol building. 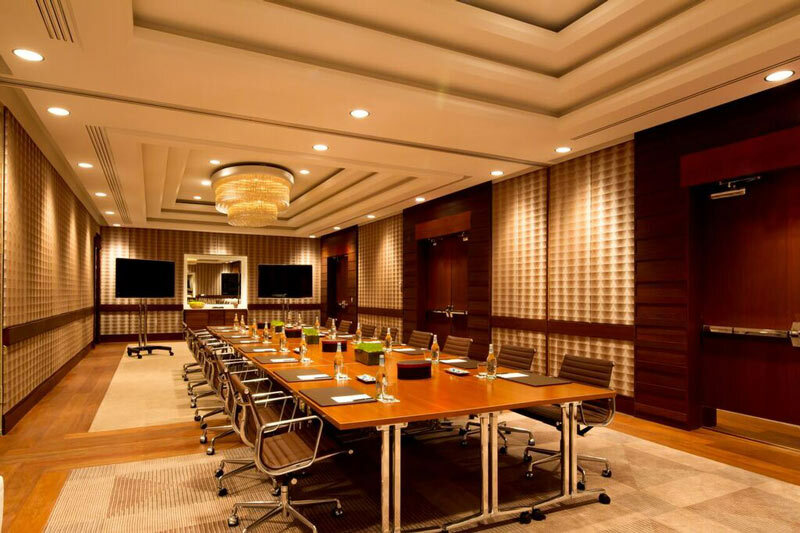 The Metropolitan Boardroom boasts 4,400 sq. feet and is divisible into three sections for intimate groups. 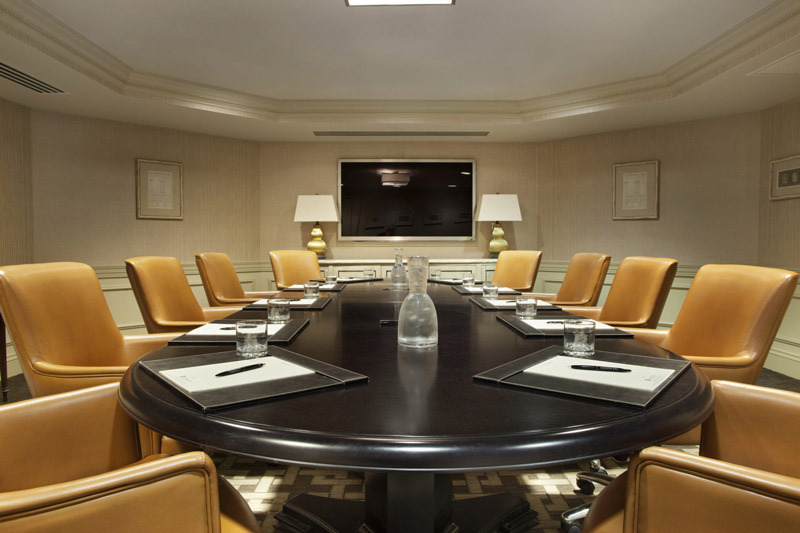 Customized meeting and conference packages are available for groups up to 500.